Olympic twins, Jocelyne Lamoureux-Davidson and Monique Lamoureux-Morando, are taking part in this year’s Global Citizen Festival in New York City to address gender equality and the plight of women around the world. On Sept. 29, the Global Citizen Festival in New York City will assemble a star-studded musical lineup: The Weeknd, Janet Jackson, Shawn Mendes, Cardi B, Janelle Monae and special guest John Legend are set to take the stage in Central Park. The event is ticketed but free – inspiring people to take action through Global Citizen’s platform to earn tickets. Global Citizen’s mission is to build a community of 100 million engaged citizens who will mobilize to help end extreme poverty by 2030. Among other issues like sanitation and finance, Global Citizen is particularly focused this year on the plight of women and girls around the globe. They are the most likely to be afflicted by poverty and they are “essential to building healthier, better-educated and sustainable communities,” the group points out. 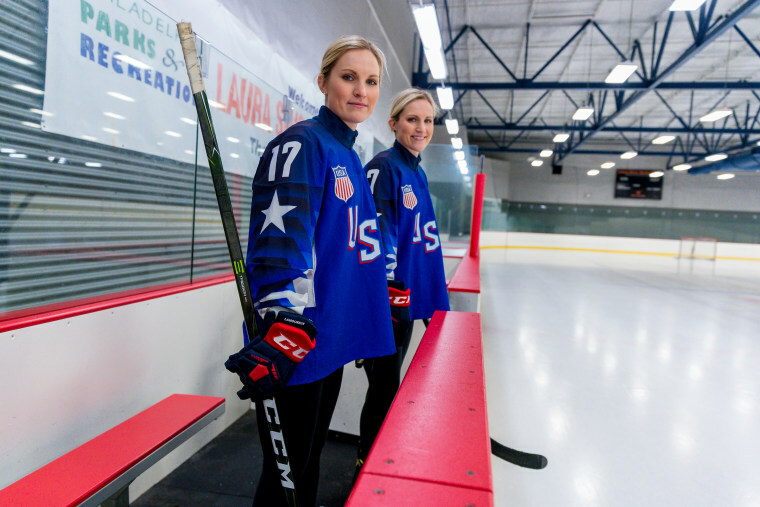 This year’s festival lineup will also include twin sisters Jocelyne Lamoureux-Davidson and Monique Lamoureux-Morando – Know Your Value contributors and U.S. Women’s Hockey Olympic gold medalists. In the so-called “Year of the Woman,” including movements such as #MeToo, the Lamoureux twins feel a particular responsibility. For both women, gender parity – in sports but also across career opportunities, wages, education, and general human rights – is one of their strongest passion points. Since both of the Lamoreaux twins are pregnant and their brother’s wife will deliver her baby this week, the women say they feel the urgency not only for their generation but also for the next. But it doesn’t always require a large-scale audience to make a difference. Part of the Global Citizen mission is inspiring civic engagement on an individual scale. Jocelyne and Monique have already been involved in programs in their home state of North Dakota, including in Grand Forks. They have also been engaged in national initiatives related to diversity and inclusion, volunteer service, and digital literacy. To take action and be a part of the Global Citizen community, join here. For more stories and inspiration like this, sign up for the Know Your Value newsletter and follow Know Your Value on Facebook, Twitter and Instagram.